Wondering what you can do to make this the best possible school year for yourself and your child (to say nothing of your child’s teacher, too)? We’ve got a roundup of practical, parent-proven suggestions to pass along—a straightforward and simple five-step back-to-school plan. And just in case you're wondering who the "we" is (because I usually write the content on this blog on my own), I teamed up with Kim Peterson to create the content for this special back-to-school parenting guide. Kim is one of the co-creators of the Ontario Special Needs Roadmap. If you're following her on Twitter, you already know what an amazing source of support and information she is for parents who have a child with special needs. Connect with your child. Start out by having a back-to-school conversation with your child. Find out what's on his mind as he thinks ahead to the coming school year. What is he looking forward to? Does he have any worries/concerns? Is there anything you could be talking about or working through together? Connect with his teacher. Make contact with your child’s teacher as soon as possible during the school year—sooner, if you can swing it. Let her know that you’re eager to work with her to make this a great school year for all concerned. Provide her with a one-page document highlighting strategies that work well with your child and providing her with other need-to-know information upfront. It’s great to be able to make a connection with the teacher and to identify some common ground as early in the school year as possible. Connect with your community. If it takes a village to raise a child, it takes a village to support that child’s parent. Tap into some of that support for yourself so that you can continue to be a powerful advocate on behalf of your child. "Build your support circle," says Kim. "Become familiar with your school board’s SEAC (Special Education Advisory Committee), parent council, SERT (Special Education Resource Teacher), principal, teachers, educational assistant, education advocates, doctors, therapists, school parents’ association, and so on." And don't try to carry all this information around in your head. Write it down so that you can access it quickly and easily when you need it. Start out by organizing yourself. Don't leave all your back-to-school preparation to the last minute. That will only add to your stress level. Instead, chip away at the various items on your back-to-school to do list (picking up back-to-school supplies; visiting the school) at a more manageable pace. And be sure to set aside some time to create or update a binder that will allow you to advocate effectively for your child. Be sure to include copies of your child's IEP, treatment plans, communication logs (documenting your various conversations with treatment providers and/or your child's school) as well as a copy of the Ontario Special Needs Roadmap. Then help your child to get organized, too. Help your child to adjust to the before-school and after-school routines before he is faced with the first day of school. Walk through the routine on a regular basis during the final weeks of summer holidays so that he'll know what to expect when the school year actually begins. Doing this can help to ease the anxiety your child may be experiences as he transitions to something new. "Consider making a visual schedule to hang up on the refrigerator so that everyone in the house is aware," suggests Kim. "You can also create a social story if your child responds to that better." You might also want to set aside time to visit the schoolyard, to allow your child to start to feel familiar with that environment, and/or to reconnect with schoolmates and arrange a few playdates in the lead-up to school. Get calm yourself and then help your child to get and stay calm, too. Kim suggests practicing mindfulness ("Having a clear, positive mind is what you need to start the new school year") and making self-care a priority for yourself and your child. Her best advice? Make a self-care wall to outline strategies that work for you when you're feeling anxious, exhausted, or depressed. Better yet, map out some of these strategies on a document you can carry with you in your smartphone or in your agenda so that you can tap into these strategies when (not if!) the going gets tough. And do the same for your child, too. Help him to identify the strategies that work best for him and then figure out how he can access these strategies in a flash when he needs them. The start of a new school year is an exciting time—and you’ll find it easier to cope with any curveballs if you embark on the year in a positive state of mind. That means feeling confident about your ability to support and advocate on your child's behalf. And it means committing to do the hard work of relationship maintenance. First of all, it's important to own the expertise that you possess as your child's parent: to recognize that you are the true expert when it comes to your child. Don’t be afraid to share your best insights into and observations about what will work best for him at school out of some misguided fear that you have less expertise to offer than your child's teachers. Don’t sell yourself short. Recognize that you have a deep knowledge and understanding of your child that can benefit your child’s teachers (and him) in all kinds of ways. Secondly, model good problem-solving and relationship maintenance skills for your child. Curveballs are inevitable. It’s all about knowing how to handle them. That means teaching your child how to respond to frustrations in ways that encourage other people to want to help him: assuming the best of the other person, taking a solutions-orienting approach, asking for help/support from others, and so on. Remind yourself (and him) that relationships take work: and that preventing problems is preferable to having to manage the fallout after the fact. Keep the lines of communication open, express appreciation, and try to anticipate and head off problems. When problems do arise, deal with them early (as opposed to allowing them to snowball) and, if a relationship hits a rough spot, commit to doing the hard work involved in relationship repair. Commit to learning more. Expose yourself to as much information as you can about dealing with your child’s challenges and capitalizing upon his strengths. Knowledge is power! Download a copy of the Ontario Special Needs Roadmap. Pick up a copy of Ann's book Parenting Through the Storm (a guide to parenting a child who is struggling). And tap into the countless other resources available to you as the parent of a child who has special needs. You don't have to do this on your own. Is there a tip you’d like to share with us—so that we can then share it with other parents? Is there a resource you think other parents would want to know about? Is there a topic you'd like us to tackle in a future blog post or audio tip sheet? Let us know. We'd love to hear from you. Ann Douglas is a mom of four and the author of numerous books about parenting including, most recently, Parenting Through the Storm. She is also CBC Radio’s weekend parenting columnist. 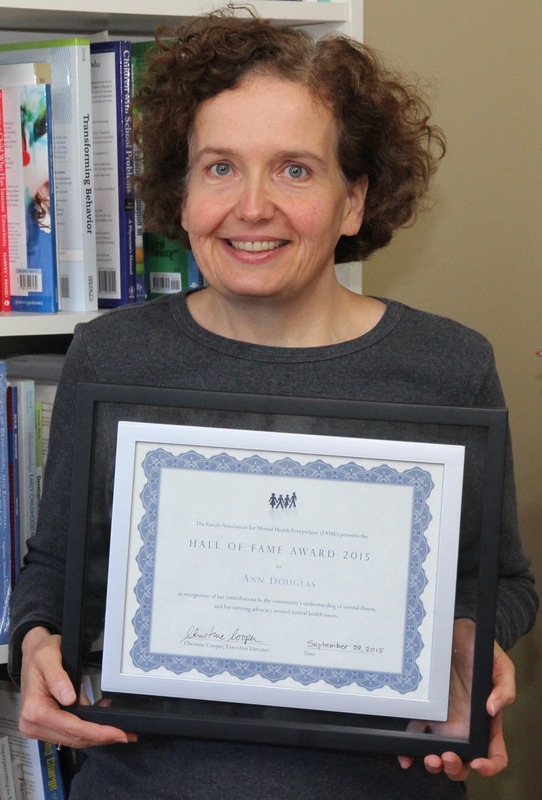 She shares parenting and mental health resources on Twitter @anndouglas. Kim Peterson is a mom of two including a child with autism. She is also one of the co-creators of the Ontario Special Needs Roadmap which has been downloaded over 70,000 times since it was released two years ago. She's also the brains behind the very popular @ONTSpecialNeeds Twitter account.